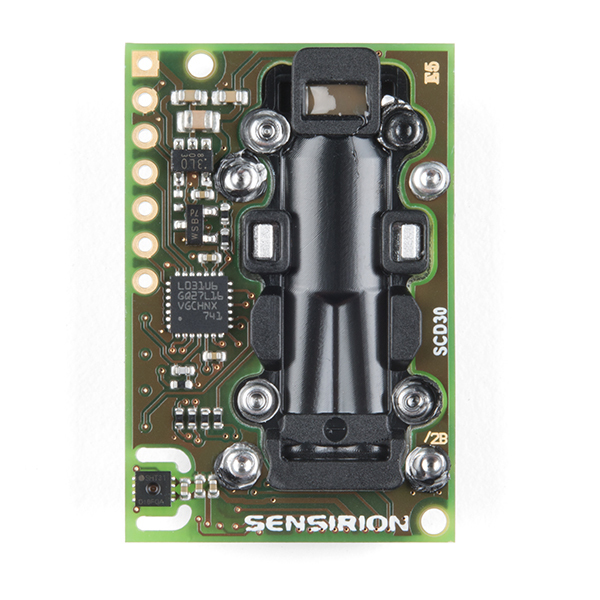 The SCD30 from Sensirion is a high quality Nondispersive Infrared (NDIR) based CO₂ sensor capable of detecting 400 to 10000ppm with an accuracy of ±(30ppm+3%). 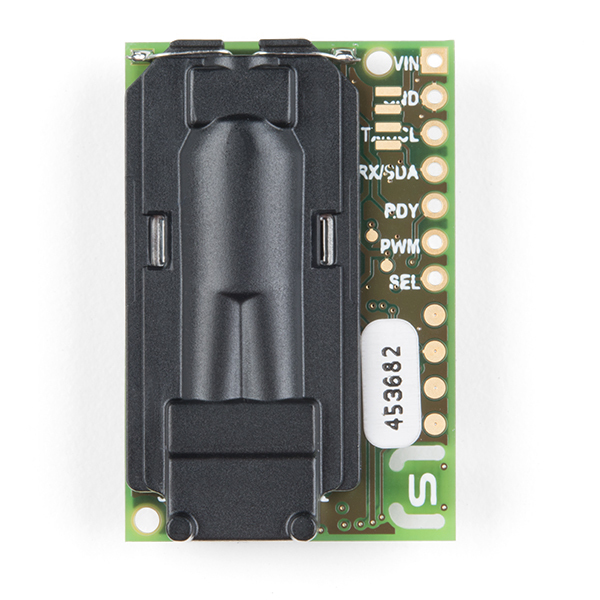 In order to improve accuracy the SCD30 has temperature and humidity sensing built-in, as well as commands to set the current altitude. For additional accuracy the SCD30 also accepts ambient pressure readings! 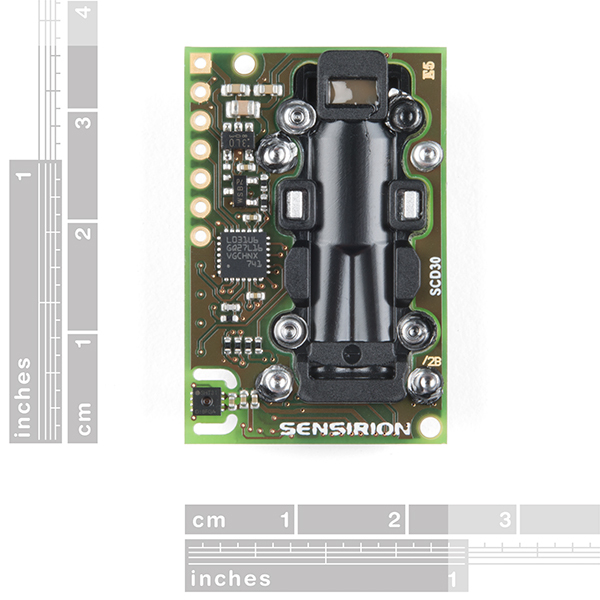 We've written an Arduino library to make reading the CO₂, humidity, and temperature very easy. It can be downloaded through the Arduino Library manager: search for 'SparkFun SCD30' or it can be found in the Documents tab above. Note: The SCD30 has an automatic self-calibration routine. 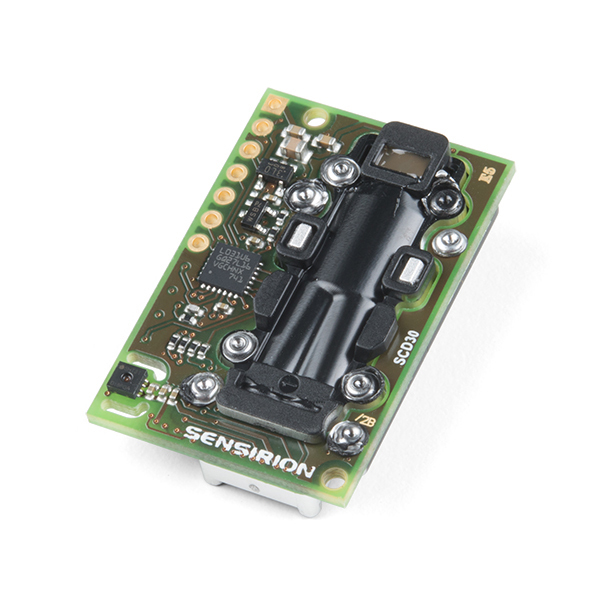 Sensirion recommends 7 days of continuous readings with at least 1 hour a day of 'fresh air' for self-calibration to complete. Current consumption: 19 mA @ 1 meas. per 2 s.
I wrote some Python code to use this with a Beaglebone (because I knew the beaglebone hardware supported I2C clock stretching). It was a very enjoyable experience because the Sensirion documentation covered the interface very well, above and beyond what I've ever seen before. Maybe it mentioned it somewhere but I would add that the returned CO2 values are encoded as a 32-bit float. The sensor seems quite responsive, I could open a window, and see the CO2 ppm levels change as the room ventilated. I didn't go thru all the details for the calibration process; I was getting about 530ppm for outside air, when I expected something like 405 ppm.